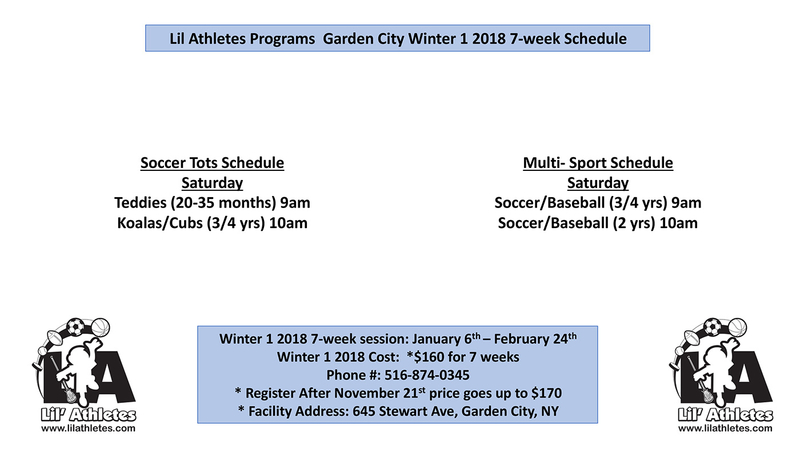 To register, please click the button below. Lil Athletes will be holding a 3-day weekly AM (9am-12pm & 1pm-4pm) multi-sport camp in July & August! 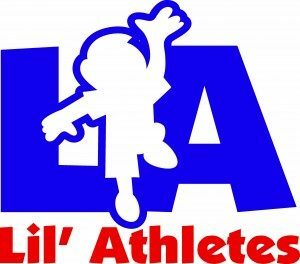 Lil Athletes will be holding a 3-day weekly AM (9am-12pm) multi-sport camp in July & August! 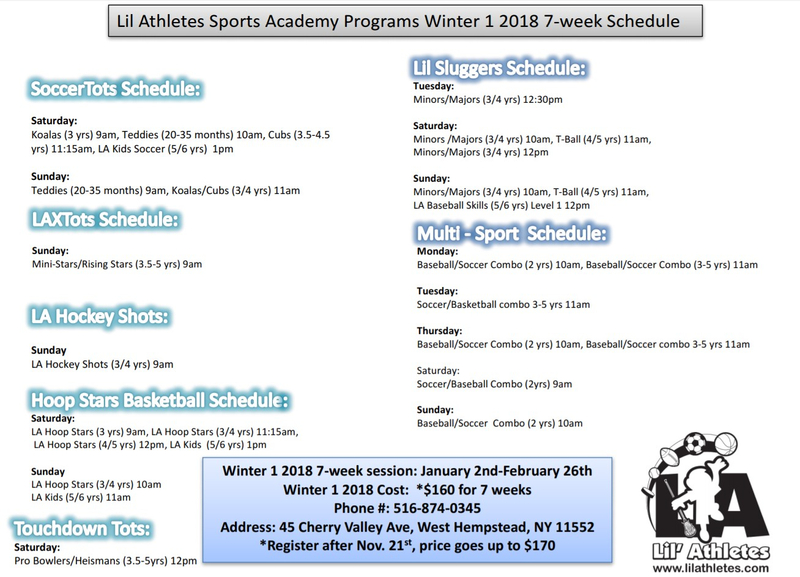 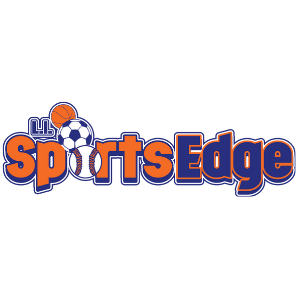 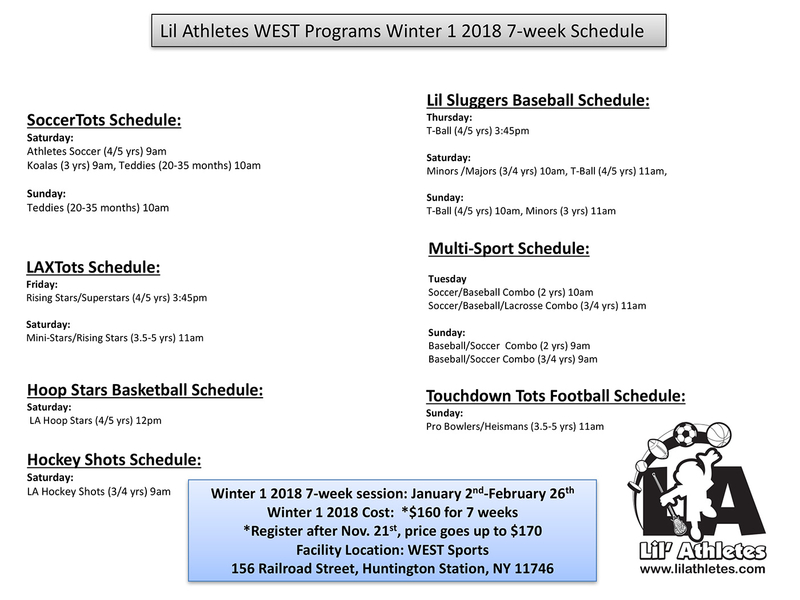 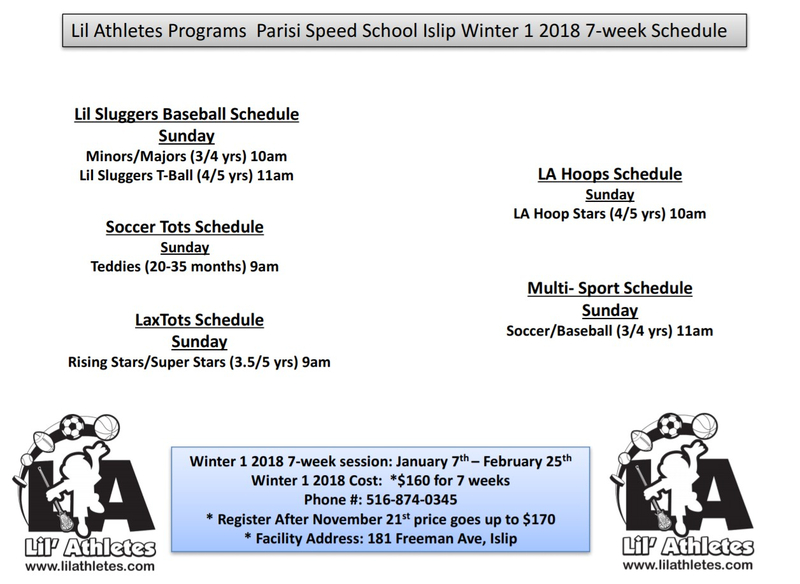 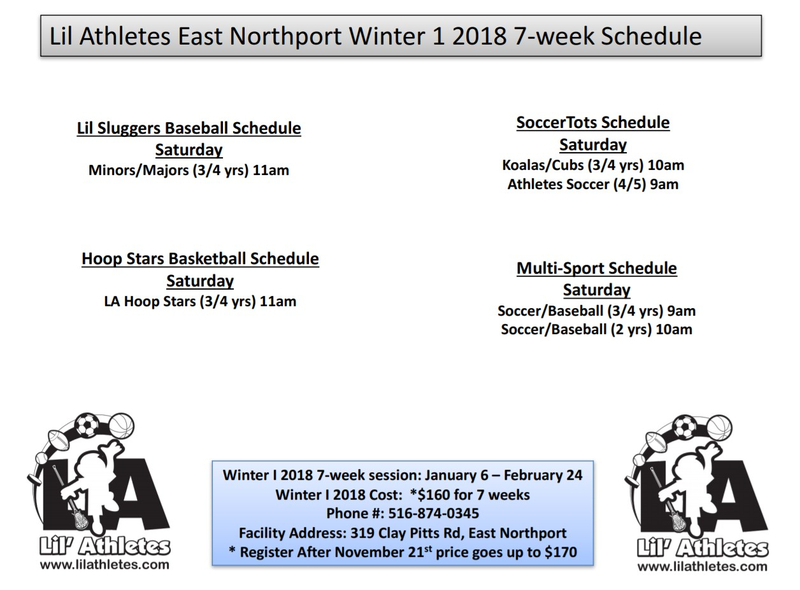 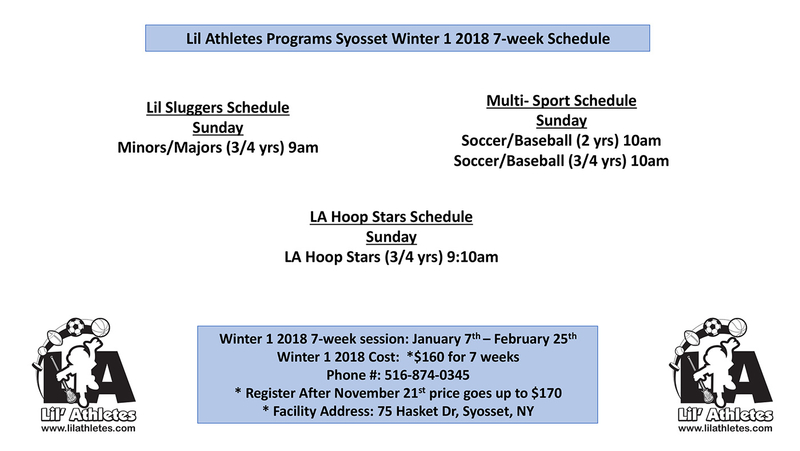 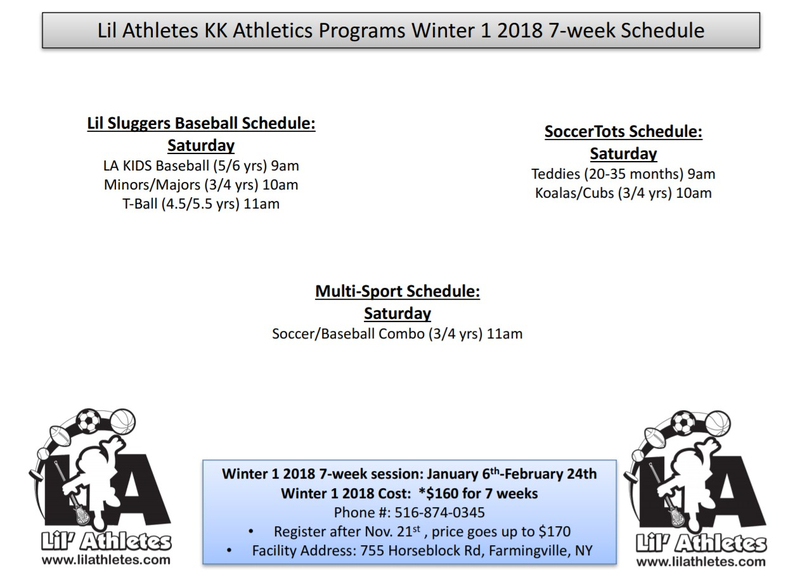 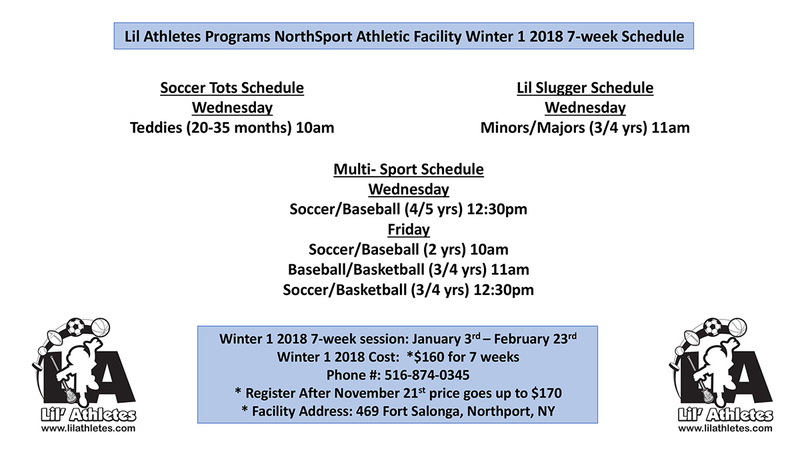 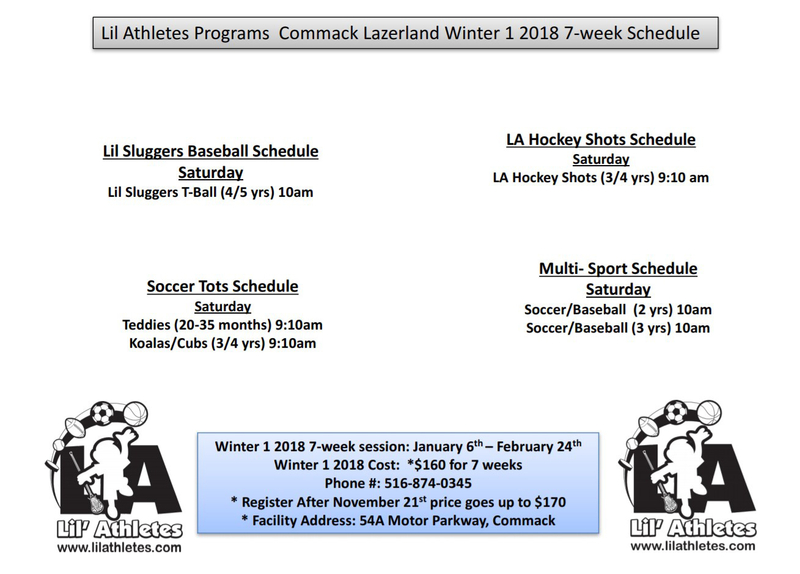 Lil Athletes will host Indoor Multi-Sport Camp in West Hempstead & East Northport Locations. 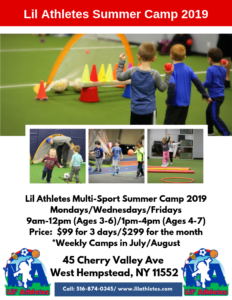 We also will be providing outdoor camps through the Town of Smithtown!